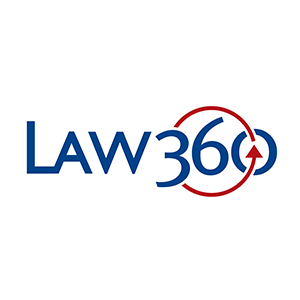 Law360 (April 17, 2018, 10:14 PM EDT) -- The nearly $1 billion won by VirnetX in patent trials against Apple Inc. exists under a cloud since the Patent Trial and Appeal Board has found the patents invalid. With appeals pending from the board's decisions and one of the trials, here's a look at VirnetX's arguments that the patents shouldn't have been reviewed, and Apple's efforts to flip the verdict. An Eastern District of Texas jury found last week that Apple willfully infringed four VirnetX network security patents and awarded $502.6 million in damages. That award comes on the heels of $439 million that VirnetX won in a 2016 earlier trial involving the same patents and older Apple products that is now on appeal. In the background of the eight years of wrangling in Texas courts, however, is a dizzying slew of America Invents Act reviews and re-examinations of the patents-in-suit requested by Apple and others, which have resulted in PTAB decisions that found all four patents invalid and would bar VirnetX from collecting on the verdicts if affirmed on appeal. There likely won't be a final judgment and appeal from last week's trial for some time due to post-trial motions. But much of the briefing is complete in Apple's appeal of the first verdict and VirnetX's appeals from the board. The Federal Circuit last week designated the appeals from each side as companion cases, to be heard by the same panel. That sets the stage for the Federal Circuit to consider, possibly in one complex decision, both VirnetX's bid to wipe out the PTAB's findings by arguing that the reviews were time-barred or should have been terminated, and Apple's claims that it does not infringe and that the jury's damages were excessive. "That signifies to me that the circuit is well aware these different proceedings are interrelated and should be heard together," said David Stein of Greenberg Gross LLP. "I think the Federal Circuit is quite sophisticated and will figure out with its appellate eye what the common issues are and how to manage them together to get a uniform result." Every claim of VirnetX's patents asserted in the Apple case has been found invalid in either inter partes re-examinations or inter partes reviews. VirnetX's appeal briefs make several arguments about why those findings should not stand, beyond the typical allegations that the PTAB was wrong on the merits to find the patents invalid. In its appeal of the re-examination decisions, in which Apple challenged two of the four patents, VirnetX argues that the U.S. Patent and Trademark Office defied the law by reviewing the patents at all. The company cites the statute creating inter partes re-examinations, which it says bars the office from overturning district court findings on the validity of a patent. The statute holds that once a final decision has been entered in litigation that a party has not met the burden of proving a patent invalid, that party cannot request or maintain re-examinations of the patent on the basis of issues that were raised or could have been raised in court. That is just what happened in this case, VirnetX argues. Apple was found to infringe the patents in a jury trial in 2012, and two years later the Federal Circuit upheld much of the infringement finding and rejected Apple's argument that the patents were invalid. The court remanded for a new trial on damages, which led to the recent $439 million verdict, but the re-examinations continued at the patent office. After the Federal Circuit's decision, the statute "required the PTO to terminate its re-examination," VirnetX argued. "The PTO's refusal to do so, despite a judicial 'final decision' on validity, defies this court's precedent and the record." Apple's response brief countered that the patent office was under no obligation to terminate the reviews "for the simple reason" that the Federal Circuit’s 2014 ruling was not "final" because the case was remanded for a retrial. "Here, there is no 'final' decision rejecting Apple's challenge to the validity of the ... patents, because litigation regarding those patents remains pending, and — as VirnetX concedes — Apple may still seek Supreme Court review of its invalidity arguments" should the recent verdict be affirmed, Apple said. The patent office's continuation of the re-examinations after the 2014 Federal Circuit ruling is likely to be a key issue in the appeal, said Craig Nard, a professor at Case Western Reserve University School of Law and director of the university's Spangenberg Center for Law, Technology & the Arts. "That is a really interesting issue, and it's one to watch to see where the Federal Circuit will come out," he said. The Federal Circuit's precedent on administrative law issues is not as well-developed as some other circuits, Nard said, so "this is an opportunity for the Federal Circuit to flesh out and develop its administrative law jurisprudence on issues like deference and standards of review." In addition to the re-examination decisions, all four of VirnetX patents were found invalid by the PTAB in inter partes reviews, some requested by Apple and some requested by a hedge fund called Mangrove Partners Master Fund. VirnetX argued in an appeal brief filed this month that those decisions should be thrown out on procedural grounds. The company said the hedge fund didn't name the interested parties to the review, as required by the America Invents Act, and that Apple was time-barred from joining the fund's reviews after they were instituted. VirnetX's arguments are based on a tangled history of numerous inter partes review requests involving its patents. Apple first filed petitions challenging the patents, but the PTAB rejected them as time-barred because they weren't filed within a year of VirnetX's complaint, as required by the AIA. A company called RPX Corp., which is in the business of challenging "threatening patents," then filed inter partes reviews on VirnetX's patents, but the PTAB rejected those as well, finding that RPX was acting as a proxy for Apple, which was time-barred. Finally, Mangrove Partners challenged the patents and the PTAB agreed to review them, allowed Apple to join the proceedings and found the patents invalid. However, VirnetX argued on appeal that the PTAB ignored evidence that Mangrove was working on behalf of Apple and RPX. Mangrove gained more equity in RPX as the reviews proceeded, eventually becoming its fifth-largest shareholder, VirnetX said, which "strongly suggested" that RPX and Apple were behind the petitions. The petitions therefore should have been time-barred, or terminated for not naming the interested parties, it said. The PTAB denied VirnetX's request for discovery into the connection, and VirnetX said on appeal that "given the magnitude of evidence suggesting a privity arrangement between RPX and Mangrove, the board abused its discretion by refusing to allow VirnetX to even file a motion to inquire into that connection." Moreover, VirnetX argued, Apple should not have been allowed to join Mangrove's petitions, since Apple was clearly time-barred, and the PTAB was wrong to hold that the time bar does not apply to requests for joinder. Apple has not yet filed a response brief in that appeal. While VirnetX is seeking to negate the PTAB decisions and preserve its trial wins, Apple asked the Federal Circuit to overturn the infringement verdict in an appeal brief last month. The company said its products should not have been found to infringe the patents and that the judge allowed VirnetX to make "unfairly prejudicial" statements that gave the false impression that Apple conceded infringement by redesigning its products. Apple also said the damages theory used at trial "vastly overcompensated VirnetX" and did not take into account the value of the claimed inventions, so the award should be vacated. In a response brief this month, VirnetX countered that the damages award "rests on substantial, reliable evidence" of what Apple would have paid in a hypothetical negotiation. The $439 million award to VirnetX is likely to be closely scrutinized by the Federal Circuit, Nard said, noting that "if the damages award is too generous, that could raise flags for the Federal Circuit about the formula used to calculate it." The Federal Circuit has once before vacated the damages award in the case in 2014, finding that VirnetX's damages expert used flawed theories that "tainted" the $368 million verdict. In the retrial, the same expert testified using modified theories, and the jury awarded $302 million, which swelled by $137 million with enhanced damages. Richard Sayles of Sayles Werbner PC, who represented Microsoft Corp. in another suit brought by VirnetX, said that in recent years, it has become more difficult for patent owners who win large damages to sustain them on appeal. "The Federal Circuit will always take a hard look at large damages awards," he said. "If you look at the law of the Federal Circuit over the last 10 years, it's gotten stricter and stricter and stricter." Apple will only have to pay VirnetX hundreds of millions of dollars if the infringement verdict is upheld and all appeals of it are exhausted. Therefore, the tech giant will do everything it can to prolong that case while there's a chance the PTAB invalidity decisions can negate the verdict, said Scott Bluni of Kacvinsky Daisak Bluni PLLC. Although Apple and VirnetX have been battling since 2010, the myriad issues presented to the Federal Circuit, the possibility of remands or retrials, and a looming appeal of the second verdict likely mean the case is far from over. "As we always say in the patent world, once you get a jury verdict, that's halftime. That's all it is," Sayles said. The cases are VirnetX v. Apple Inc., case numbers 17-1591, 18-1197 and 17-1368, in the U.S. Court of Appeals for the Federal Circuit. --Editing by Katherine Rautenberg and Breda Lund.